The complex process of ozone formation, its precursor compounds (volatile organic compounds (VOCs) and nitrogen oxides (NOx)) emissions, accompanying with meteorological conditions, makes troposphere ozone difficult to control. 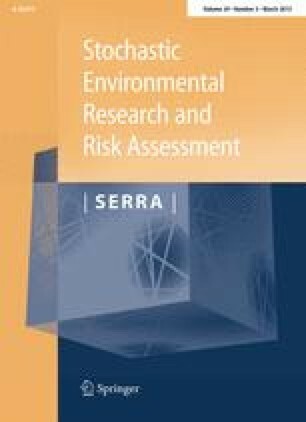 This study applies dynamic factor analysis (DFA) to investigate the time series of ambient ozone concentrations and their associations with meteorological variables. The analyses were applied on the hourly data collected at the four monitoring stations in Kaohsiung (Taiwan) during the 72-h periods with three events in high and low ozone episodes in 2009. According to the optimal DFA model, NOx negatively control ozone variations in all events. Relative humidity (RH) only negatively influences the ozone fluctuations in low ozone episode. The sea–land wind speed (i.e. west direction) and air temperature positively affect ozone fluctuations in high ozone episode. CO significantly influences ozone fluctuations in main city area for high ozone episode and in all stations for low ozone episode. However, VOC did not significantly correlate with ozone fluctuations for both ozone episodes. The results show that ozone conditions of both episodes were in NOx-saturated regimes, where increased NOx would result in lower ozone. Temperature, RH, and sea–land wind speed can be treated as metrological variables, which significantly vary the concentrations of surface-level ozone. This study shows DFA can provide a quantitative insight into the temporal variations of CO, NOx, and meteorological conditions effects on ozone variations that will be a reference to air quality management in the study area. The authors would like to thank the National Science Council of Taiwan, for financially supporting this research under Contract No. NSC 101-2313-B-451-003, NSC101-2628-E-002 -017 -MY3 and NSC 102-2221-E-002-140-MY3, and thank the Taiwan Environmental Protection Administration (TWEPA) for providing the monitoring data.